The battle for the governorship seat of Bauchi State has become convoluted following the confusion that trailed the collation of votes at Tafawa Balewa Local Government Area after hoodlums attacked the collation officers and destroyed the results. In a bid to bring about sanity into the process, the Independent National Electoral Commission (INEC) has declared that a return would not be made until the court vacates the seal placed on Tafawa Balewa votes, in what has come to be known as a battle between ‘can’ and ‘able’. 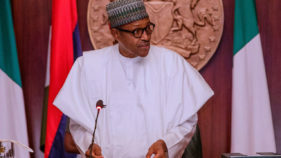 The ongoing schemes and legal somersaults over the Bauchi State gubernatorial election, which ought to have ended like many others on March 9, 2019 and March 23, respectively, could be traced to the desire by President Muhammadu Buhari’s men from the state to save their reputation and the people’s resolve to determine who governs them in the next four years, starting from May 29, 2019. Bauchi State has the highest number of strategic players in the Buhari administration, including the chairman of Independent National Electoral Commission (INEC), Prof. Mahmood Yakubu, who is from Toro; Acting Chief Justice of Nigeria (CJN), Justice Tanko Mohammed, from Doguwa; the Comptroller- General of Customs and Excise, Col. Hameed Ali, and the Executive Secretary of Tertiary Education Trust Fund (TETFUND), Prof. Sulaiman Bogoro. Results from the 15 affected local government areas in which INEC ordered supplementary polls have been published but the gubernatorial election remains inconclusive, just as the state’s Residents Electoral Commissioner (REC), Alhaji Ibrahim Abdullahi, continues to weave doubts about where he stands on the electoral puzzle. Polls were rescheduled for last Saturday with the exception of Tafawa Balewa Local Government Area pending the decision of the court in the 15 local government areas, 29 registration areas and wards, which include 36 polling units and 22,759 registered voters. Adullahi, who briefed newsmen, said the commission could not continue with the collation of Tafawa Balewa gubernatorial election result in obedience to the court order, even as he assured that the commission would not only continue with the collation of State Assembly results, but also conduct the supplementary election. The best way to understand the twisted Bauchi gubernatorial election is perhaps to reflect on the background feature and strengths of the two major contenders, APC’s Governor Mohammed Abubakar and Senator Bala Mohammed of PDP. 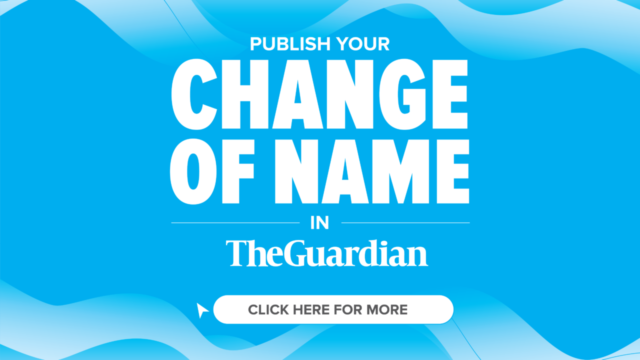 While PDP’s candidate was the former Minister of Federal Capital Territory (FCT) in the last dispensation, the incumbent came to power in 2015 in the wave of the Buhari-engineered political Tsunami in the northern part of the country, following the agitation for the return of power to the zone. 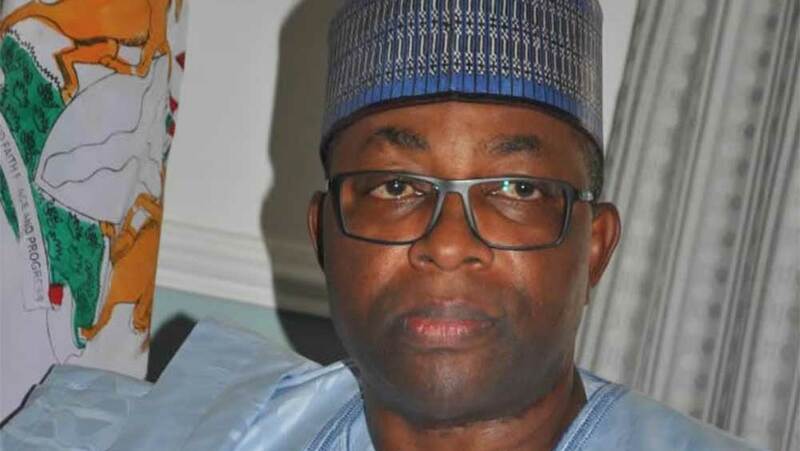 In the past four years, Governor Abubakar made himself the good boy of the so-called presidency cabal and juggled his mandate delivery to Bauchi people with his desire to be in the good books of the presidency upon which he spent enormous resources to service the goodwill. On the other hand, when he was the FCT minister, Mohammed, who defeated former governor Adamu Muazu to get to the Senate, made a career out of his famed generosity to the downtrodden in the state, including scholarship awards to indigent students. 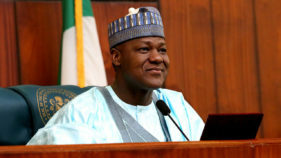 Not satisfied with his style of leadership and perceived non-performance in office, some stakeholders, led by Speaker of House of Representatives, Yakubu Dogara, protested against the incumbent, alleging that he was frittering away the meager resources of the state in frivolous ventures. Although the governor pushed back on the stakeholders by alleging mischief against them based on his claims that he refused to service their hubris by using the state’s funds to buy luxury cars for them, with time, the masses began showing signs of reservations about the governor’s understanding of their plight. Out of fear that the groundswell of animosity against his administration could lead to a possible defeat at the 2019 governorship poll, Governor Abubakar helped to stoke cases against the eventual PDP candidate, through the Economic and Financial Crimes Commission (EFCC). The former FCT minister maintained that he did no wrong while in office, insisting that no amount of intimidation would make him back out of his governorship aspiration. Again, while Mohammed emerged as PDP’s gubernatorial standard-bearer amid some recriminations, he was able to engage in fence-mending initiatives with other governorship aspirants. However Governor Abubakar, touting his strong links in the presidency, did not bother to win over some APC governorship aspirants after he was gifted with a second term ticket of the party. This development helped to deepen the mistrust in the party as well as exacerbate the fears of possible loss of the election, particularly following public denunciation of his administration. 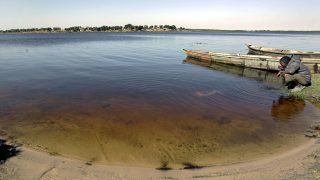 It was therefore against that background that the governorship election held on March 9, 2019, with the incumbent trailing his main challenger, Mohammed. Sensing obvious defeat, some political ‘good boys’ loyal to the governor, allegedly instigated the disruption of collation of Tafawa Balewa Local Government Area in the hope that a cancellation could widen the possibility of reenergizing the governor’s poor showing during a supplementary poll. However, that ploy could not endure because after INEC sent its verification committee, it was discovered that though the collated result sheet for the local government was torn by the hoodlums, the generic results from the polling units were still intact and it was proof that prior to the invasion of the collation, voting had taken place without any chance occurrence. While the electoral commission gave the go ahead for the collation of Tafawa Balewa council’s results to recommence, Governor Abubakar, after a visit to the presidency for some oxygen, instituted a court action upon which he was granted an ex parte order halting the collation of results. By the time the court order was served, PDP and Mohammed were beating the incumbent and his ruling APC. At the resumption of collation, PDP got 29,933 votes while APC trailed with 25,215. 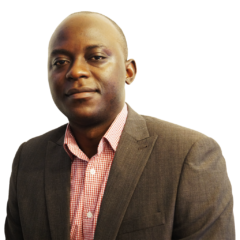 INEC’s Voter Education Officer, Mr. Festus Okoye, had explained that the resumption of collation became necessary after a committee had investigated and recommended the recognition of the local government result. Contrary to Governor Abubakar’s expectations, yesterday, PDP won the supplementary election held in 36 polling units across 15 local government areas of the state. According to the State Returning Officer, Prof. Muhammed Kyari, PDP polled 6,376 votes while the ruling APC scored 5,117, losing with a margin of 1,259 votes. It would be recalled that Senator Muhammed of PDP had scored 469,512 while the incumbent got 465,453 votes in the main election before Tafawa Balewa Local Government Area was declared inconclusive. PDP was wining with 4,059 votes. In the makeup election, Prof. Kyari said there were 21,737 registered voters, while 12,109 were accredited to voter, stressing that out of the 11,971 total votes cast, 403 were rejected. Summation of previously announced results on March 10 and March 23 scores leave APC with 470,570 votes against PDP’s 475,888 votes with a margin of lead of 5,318. Again, while the winner of the election is an open secret, no return could be made since the result of one local government area is to be determined by the court on the suit filed by Governor Abubakar seeking cancellation of the Tafawa Balewa outcome. Meanwhile, the Federal High Court in Abuja will hear the case tomorrow before the winner could be declared. But PDP’s Muhammed, during a press briefing after the announcement, appreciated the people of the state for the history already made. He enjoined them to celebrate moderately and be law-abiding. He also commended INEC and security agencies for their roles for conducting credible and violence-free elections in the state. As the cabal’s ‘good boy’ continues with his delay antics, it is clear as crystal that the people’s ‘good man’ has received the endorsement of Bauchi people, who remained dogged in asserting their democratic rights.